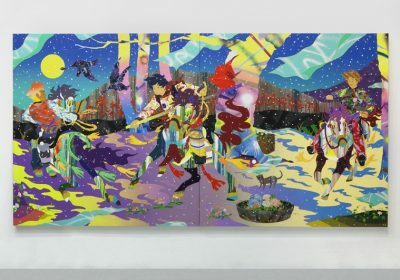 Showing through this weekend at Zidoun-Bossuyt Gallery in Luxembourg is a group show curated by Tomokazu Matsuyama (interviewed). 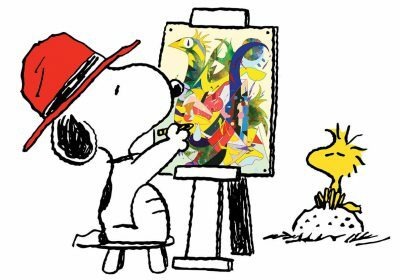 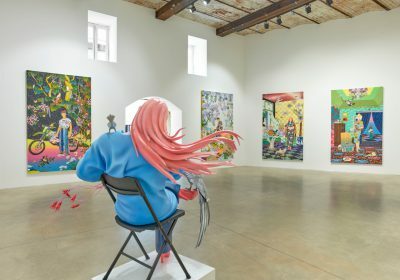 Entitled Pardon My Language, the exhibition includes work from Matzu as well as from Wim Delvoye, Carlos Rolón/Dzine, Robert Lazzarini, Jayson Musson, and Alison Elizabeth Taylor. 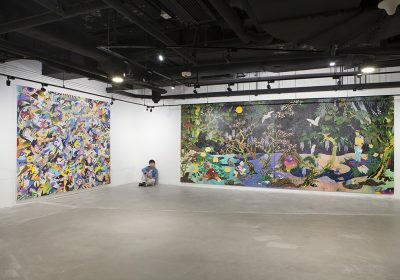 The showing from the artists with diverse styles and art-making techniques explore how “globalization has changed our perception of cultural identity and how ‘identity’ is shifting and changing in the 20th/21st century.” Discuss Tomokazu Matsuyama here. 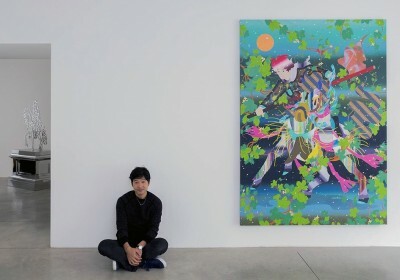 Last week in Luxembourg, Tomokazu Matsuyama (interviewed) presented new works entitled Somewhere Here at Zidoun-Bossuyt Galley. 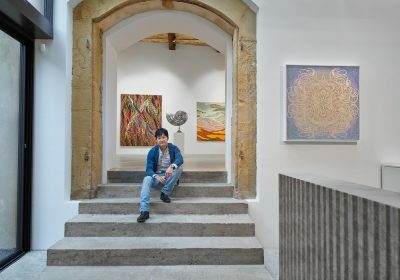 The Japanese artist’s new solo included a series of vibrant new paintings as well as steel sculptures created in monochromatic gold and silver. 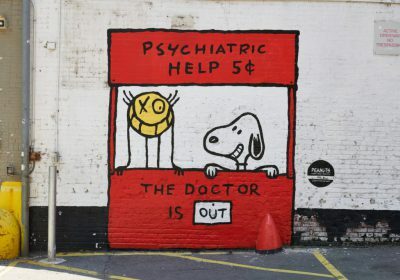 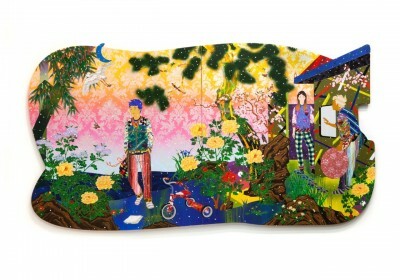 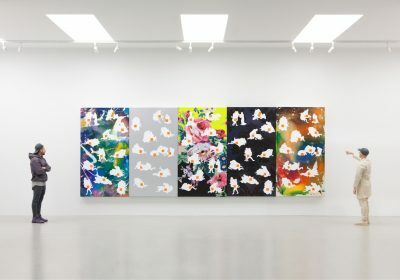 The New York-based Matsuyama’s characters were both rendered against complex “deco-florative” patterns in irregularly shaped canvases set in striking contrast against the white walls as well as were seen in a more minimalistic outline in sculptural form both inside and outside the gallery space. 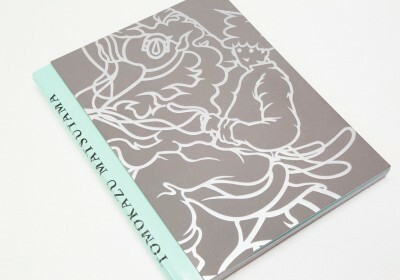 Take a look at more installation photos below… Discuss Matzu here.